If you’re not for Zero Waste, how much are you for? The big picture, long-term goal to eliminate 90% of waste or more from landfills and incinerators is often called “Zero Waste.” This has many benefits because the way we manage our resources impacts the environment on so many levels. According to the U.S. EPA, nearly 40% of greenhouse gas emissions in this country are related to materials and land management. Landfills also use thin liners that inevitably fail and leak toxins directly into the environment. According to the Texas environmental agency, 42 out of the 100 monitored landfills reported leaking toxins into groundwater in 2013. Zero waste means a future where incinerators and landfills are things of the past. Changing our waste systems to continuously conserve resources is also powerful for the economy. According to the Tellus institute, recycling 75% of waste in the U.S. would create about 1.5 million jobs. In fact, for every 10,000 tons of garbage, only 1 job is created in a landfill compared to 10 to 200 times that many jobs in recycling and reuse. Recyclers as well as composting companies all over Texas are ready to hire and expand – all we need is the political will and public education necessary to grow this important component of a sustainable economy. Austin was the first city in Texas to adopt a Zero Waste Plan, and TCE Fund is working with city officials to implement and enforce it. Learn more here. Dallas passed its Zero Waste Plan in 2013. TCE Fund is working to accelerate a critical part of this process – getting recycling for apartments and businesses. Learn more here. Houston is working on a long-range plan for many city services, including waste and recycling, and TCE Fund is urging city officials to include a Zero Waste Plan in this process. Learn more here. Our friends at Eco-Cycle in Boulder, CO have created a wonderful guide for implementing Zero Waste policies in your community. Texas TakeBack is a resource for recycling almost anything, and a project of TCE Fund. Do you have an environmental complaint about a landfill or other polluting facility? Visit these resources from the Texas Commission on Environmental Quality (TCEQ). Waste and Climate Change resources from the U.S. Environmental Protection Agency (EPA). 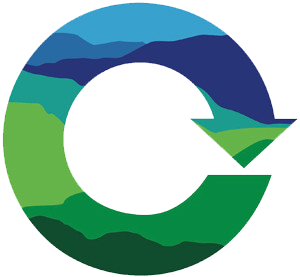 GrassRoots Recycling Network (GRRN) develops webinars and other zero waste resources. Other amazing resources for the Zero Waste movement include Global Anti-Incinerator Alliance, Energy Justice Network and the Institute for Local Self-Reliance. Check out Story of Stuff for videos perfect for the classroom. Would you like a presentation from TCE Fund? Scroll down to “Contact Us” to send an email to your local Program Director!